Many people believe they need to eat a lot to fight the cold, but nutritionists claim that is not necessarily so. "The basal metabolic rate rises slightly when temperatures dip," admits Prof. Park Hee-min at Severance Hospital. But he added, "This makes many people misunderstand that they need to eat more food to adapt to it. But it's not necessary." The basal metabolic rate is the amount of energy consumed automatically to maintain life. 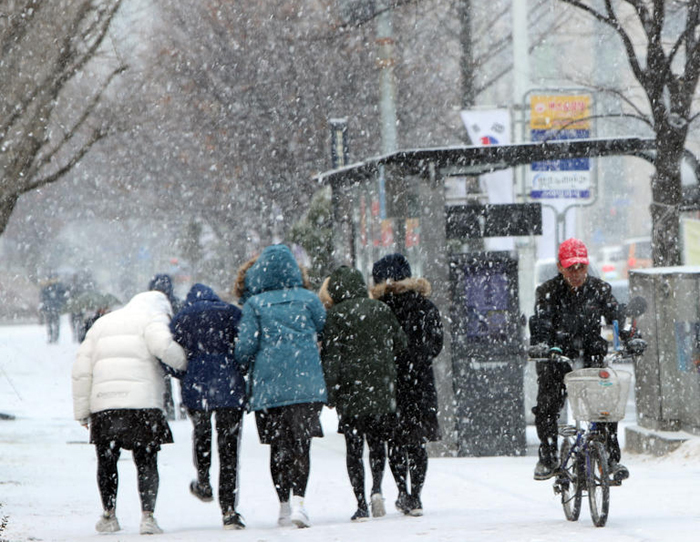 It increases by three percent when the temperature drops 10 degrees Celsius, but that is negligible because it may just be offset by a reduction in outdoor activity in cold weather. But eating more high-protein food is helpful in fighting the cold. A certain amount of food is used to give off heat, and protein does that better than other nutrients. A mere three percent of fat and only eight percent of carbohydrate is used to generate heat, compared to a whopping 25 percent of protein. Increasing the amount of muscle by taking in protein also contributes to maintaining body temperature. Prof. Park Min-sun at Seoul National University Hospital said, "Red meat like beef and pork can increase the risk of heart attacks in winter because it makes the blood sticky, so the best thing is to eat chicken, milk, cheese and fish."